Club committees coordinate their efforts in order to achieve the club’s annual and long-range goals. The president-elect, president, and immediate past president work together to support continuity of leadership and succession planning. Club Administration. Supports effective operation of the club. This club also has the major fundraising committees under the administration section. Membership. Develops and implements a comprehensive plan for attracting and engaging members. Public Relations. 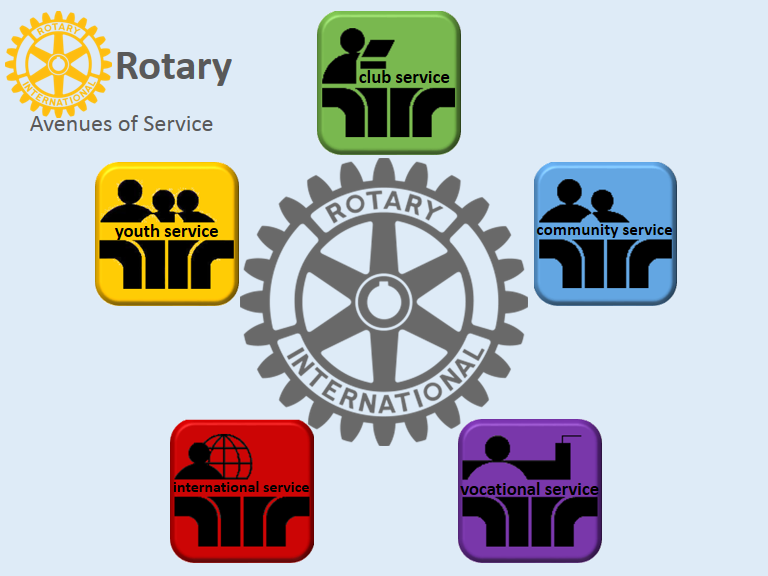 Develops and implements plans for providing the public with information about Rotary and promoting the club’s service projects and activities. Service Projects. Develops and implements educational, humanitarian, and vocational projects that address the needs of the community and communities in other countries. Rotary Foundation. Develops and implements plans for supporting The Rotary Foundation through both financial contributions and grant participation. Clubs can establish additional committees if needed. Club committee chairs should attend the district training assembly before serving as chair. Club committees should work with assistant governors and relevant district committees. Club committees should regularly report their activities to the club board and at club assemblies.